MUMBAI: India’s ambitious biometric identity project could lead to millions of people being denied access to essential services and benefits in violation of their human rights, campaigners said, ahead of key court hearings on the legitimacy of the program. India launched Aadhaar, now the world’s biggest biometric database, in 2009 to streamline welfare payments and cut wastage in public spending. The government has since made the card mandatory to access a range of services, including benefits such as state subsidies, pensions and scholarships. This “can obstruct access to several constitutional rights, including the rights of people to food, healthcare, education and social security,” said Aakar Patel, executive director at Amnesty International India. “The government has a legal and moral obligation to ensure that nobody is denied their rights simply because they don’t have an Aadhaar card,” he said in a joint statement with Human Rights Watch (HRW) at the weekend. Officials at the Unique Identification Authority of India (UIDAI), which oversees the program, did not respond to an e-mail seeking comment. 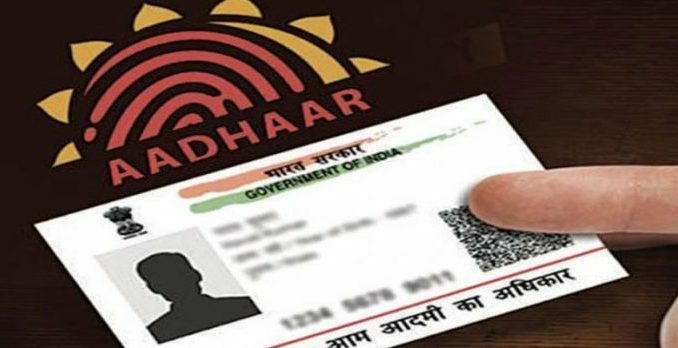 The Supreme Court has been holding hearings on the legitimacy of the government’s demand to make Aadhaar mandatory for a range of services, despite the court ruling in 2014 that the ID cannot be a requirement for welfare programs. The top court is scheduled to resume hearings on Jan. 17. Campaigners and technology experts have raised concerns about privacy and the safety of the data, the susceptibility of biometrics to failure, and the misuse of data for profiling or increased surveillance. There have been reports of biometrics failing when fingerprints have faded, and of deaths linked to denial of subsidized food when Aadhaar verification failed. Officials in Jharkhand state in October said Aadhaar was not necessary to get subsidized grains, after the death of an 11-year-old girl who campaigners say died of hunger because her family’s ration card was canceled when it was not linked to their Aadhaar card. “It is ironic that a 12-digit number aimed to end corruption and help the poor has become the very reason many have been deprived of fundamental rights,” Meenakshi Ganguly, HRW’s south Asia director, said in the statement. Reporting by Rina Chandran @rinachandran. Editing by Ros Russell. Please credit the Thomson Reuters Foundation, the charitable arm of Thomson Reuters, that covers humanitarian news, women’s rights, trafficking, property rights, climate change and resilience. SUNITA: TATTERED TENOR OF TIKARPADA !